The White Paper and the Irish Dimension: enough to avoid a hard border? 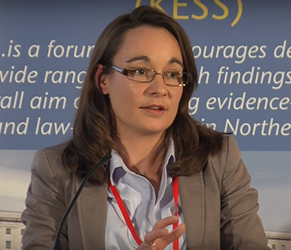 In a specially extended read, Dr Katy Hayward and Professor David Phinnemore take a closer look at the UK government's recent White Paper on The Future Relationship between the United Kingdom and the European Union. On 29 March 2017, the UK Prime Minister, Theresa May, notified the European Council that the UK would be leaving the EU. In so doing, she set the clock running on the two-year period provided for the conclusion and ratification of the terms of withdrawal. But from the moment the deadline was set, the two sides have had fundamentally different expectations about what this two-year negotiation period was for. From the EU’s perspective, the priority is to get a well-managed ‘orderly’ UK withdrawal; from the UK’s point of view, it is to create a brand new UK-EU relationship. It is unsurprising, therefore, that the most substantial proposal submitted by the UK government for the negotiations to date, the White Paper of 12 July 2018, is on ‘The Future Relationship between the United Kingdom and the European Union’. At best, this proposal can feed into shaping the Future Framework declaration that will accompany the Withdrawal Agreement. That Framework will have political weight but no formal legal standing. This is insufficient when it comes to something as complex and as significant as the status of a border. And it is the status of the Irish border after Brexit that remains the most complicated and contested part of the Withdrawal Agreement. Indeed, it is for this reason that it is the focus of a distinct Protocol on Northern Ireland and Ireland in the draft Withdrawal Agreement. This Protocol covers an array of issues that both sides have agreed must be protected in Brexit (as noted in the Joint Report of December 2017), including the operation of the Good Friday (Belfast) Agreement in all its parts and North/South cooperation across the Irish border. More on this later. Most controversially, the Protocol also includes a so-called ‘backstop’, which includes provisions for avoiding a hard Irish border by giving Northern Ireland a unique status vis-à-vis the EU’s customs union and single market, at least as far as the free movement of goods is concerned. The backstop is the EU’s (and with it Ireland’s) ‘insurance policy’ in case the future UK-EU relationship is insufficient to avoid the imposition of checks and controls at the Irish border. But the UK government has never seen it as such. Instead, it has long been insistent that the technicalities of the Irish border as a future customs and trade border between the EU and UK can only be addressed as part of the future UK-EU relationship. In this way, the White Paper marks a new point of common ground between the UK and the EU, in that both are now seeing the backstop as precautionary, i.e. that it will only come into force if the future UK-EU relationship fails to deliver on the commitments of the Joint Report. The UK’s hope that the backstop will never be used is, in this way, one thing that it now has in common with the EU. But to what extent is this hope likely to be a realistic one? That both Prime Minister May and Dominic Raab (her newly appointed Secretary of State for Exiting the European Union) refer to the UK’s and EU’s commitments on Northern Ireland and Ireland in their forewords to the White Paper is recognition of the importance of the Irish dimension at this stage. They carefully frame their commitments here in terms of finding a balance between the EU’s ‘autonomy’ and the UK’s ‘constitutional and economic integrity’. Although at no point has the EU questioned Northern Ireland’s position as an integral part of the UK or the principle of consent for any change to that position, UK domestic reaction to the Joint Report and subsequently the EU’s backstop proposals have raised fears that any differentiated post-Brexit treatment of Northern Ireland could undermine that integrity. This helps explains the ‘Irish Sea border’ amendment made to the Taxation (Cross-Border Trade) Bill (more commonly known as the Customs Bill) in the House of Commons on 16 July. Clause 37 makes it unlawful for Northern Ireland to be part of any customs territory outside that of the United Kingdom. It is obviously intended to cut dead any prospect of a customs border ‘in the Irish Sea’. The nodding-through without vote of this clause belies the colossal political and economic repercussions for the place – Northern Ireland – it most affects. News of the amendment was met with vocal expressions of despair and frustration from several quarters in Northern Ireland. The rollercoaster of Brexit uncertainty is made even more nerve-racking here by a sense of democratic deficit, in the absence of a functioning Assembly and Executive and the policy of abstention observed by Sinn Féin MPs. Nervousness centres on concerns that the amended Customs Bill could scupper any prospect of a backstop in the Protocol, and with it, the prospect of finalising the Withdrawal Agreement itself. The constitutional status of Northern Ireland has, of course, long been contested, and it remains a matter of acute political sensitivity even in the wake of the 1998 Good Friday (Belfast) Agreement. Therefore, it is very significant that this balancing act in the White Paper is not completely focused on customs and trade issues. Indeed, the White Paper is careful to make reference to several areas for North/South cooperation. This includes areas that may mean special arrangements for Northern Ireland (e.g. the single electricity market, the single epidemiological unit for agriculture, or delivering a future Peace programme on reconciliation). It also includes those areas that may see Northern Ireland incentivising UK-wide ambition (e.g. no new permits for cross-border transport services; ongoing provision of Irish language broadcasting, and cross-border cooperation between law enforcement agencies). the free trade area for goods would see the UK and the EU meet their shared commitments to Northern Ireland and Ireland through the overall future relationship. Given that no standard free trade agreement would enable the avoidance of checks and controls at a UK/EU border, the need here is for something much more ambitious that relates to both regulation and customs management. The White Paper attempts to address this in two ways. First it proposes that the UK would subscribe to a ‘common rulebook’ with the EU, that covers all regulations on goods that require checks at the border. Second, it advocates for the creation of Facilitated Customs Arrangements, which are in essence an expansion on the ‘New Customs Partnership’ idea originally proposed in August 2017. The intention behind these proposals is to remove the need for checks and controls at UK/EU borders and in so doing alleviate concerns that Brexit will mean the emergence of a hard Irish border. Would the White Paper be sufficient to avoid a hard border? The intention of the White Paper is to avoid checks and controls at the Irish border through an ambitious all-UK wide trade deal. The proposals would keep the entire UK in a very close customs arrangement with the EU, almost akin to a customs union, and in effect in the single market for goods. The intention is that UK trade with the EU would be as frictionless as possible for manufactured and agricultural products: there would be no tariffs, no quotas, and no regulatory divergence such as would require border controls at either side of any UK-EU border, land or sea. In addition – allowing for the UK’s ambition to sign its own trade deals with other countries – the UK would commit to collecting tariffs at its borders on behalf of the EU. This only works on the understanding that most trade would be conducted by Trusted Traders, who have special permission to cross the UK/EU borders without the need for customs paraphernalia such as declarations, permissions of exit/entry, etc. Furthermore, it assumes that there is growing international convergence in standards and means of trade facilitation. The proposal that the UK effectively operates two customs regimes on its territory – one for the UK and the other for the EU – poses risks of extraordinary complexity (especially in relation to Rules of Origin), and these risks grow as the UK signs more unique trade deals with a growing number of countries. Whether this will avoid a hard Irish border has to be addressed at two levels. First, in terms of trade and customs management, it is quite clear that what is proposed in the White Paper is unique and untested. It would require tremendous flexibility, not to mention trust towards the UK, on the part of the EU. If these proposals were to avoid checks and controls at the border, their implementation would have to be accompanied by bureaucracy and mechanisms that ensure compliance with rules and tracking of component parts, goods and freight that is unlike anything known at the moment. All other considerations aside, implementing this would not be a light-touch or cost-free process. 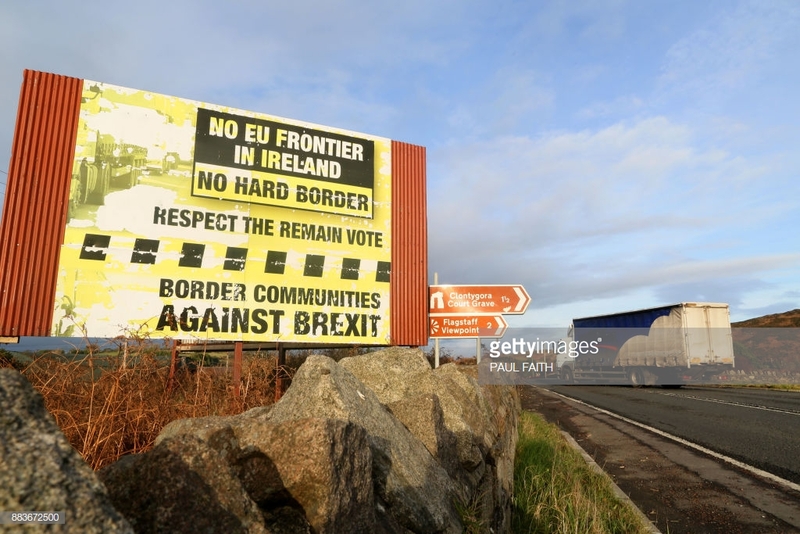 Secondly, the hard Irish border is not solely determined by its status as a boundary to either the EU customs union and single market or the UK customs territory and internal market. The fact that it is experienced as relatively ‘frictionless’ and integrated at the moment is due not only to shared UK and Irish membership of the EU but to the layers of contact and cooperation that exist across it. Much of these have been built and formalised since the 1998 Good Friday (Belfast) Agreement, which remains a cornerstone for the peace process in Northern Ireland. All this has been acknowledged by the priority given to the Irish dimension by both the UK and the EU from the start of the withdrawal process and even before. Would the White Paper deliver on UK commitments already made regarding Northern Ireland and Ireland? ‘I want to reinforce my commitment to the Joint Report in its entirety, including reaffirming the UK Government’s view that the Belfast or Good Friday Agreement of 1998 must be protected in all its parts’. The White Paper attempts, as noted, to deliver at least in part on most of these commitments. A close reading of the text, however, reveals several omissions. A first omission is a reference to the operation of the 1998 Agreement ‘in all its parts’, although there is reference to the ‘letter and the spirit’ of the Agreement being honoured (p. 9). Second, there is no reference to the ‘subsequent implementation agreements and arrangements’. This is important because these – the St Andrews Agreement (2006) and the Fresh Start Agreement (2015) – have particular bearing on the Democratic Unionist Party (DUP), which famously opposed the Belfast Agreement at the time it was signed in 1998. Third, the number of areas referenced for continued North-South cooperation is limited to half of the fourteen provisionally agreed in the withdrawal negotiations. Although some of these areas will be covered by the type of future UK-EU cooperation that may be presumed to be intended (such as on environment), omission of some areas requires explanation given the expectation that all areas will be included in the final version of the Protocol. Fourth, the issues of no diminution of rights and upholding human rights do not feature in the White Paper beyond two short references to human rights and a commitment to membership of the European Convention on Human Rights. Admittedly, implementation of the UK’s commitments here is being addressed in the withdrawal negotiations. Omitting any reference could, again, be an oversight or have been deemed unnecessary. Equally, omission could be a sign of waning commitment. Overall, negotiators in Brussels and officials in Dublin will be wanting to assess whether these omissions are simply due to oversight or lack of space, or if they in any way mark a deliberate attempt to row back on what was agreed in December 2017 and re-affirmed in May’s letter to Tusk. This may be understandable given the substantial domestic political constraints on May and her negotiating team. The White Paper is a political statement, and as such reflects political realities. It is speaking not only to the European Commission Taskforce on Article 50 but also to hardline Brexiteers in the Conservative Party and their allies in the DUP. Ministerial resignations and backbench rebellion clearly show that among Conservative MPs, support for the White Paper is far from overwhelming; it certainly appears the case that it lacks majority support in the House of Commons. More specifically, May’s dependence on a confidence and supply agreement with the Democratic Unionist Party for the survival of her government, means that the views of the 10 DUP MPs have been of disproportionate importance. Reaction to the White Paper suggests that May has addressed DUP concerns. That said, the addition of DUP Brexit spokesperson Sammy Wilson MP to the ERG amendment forbidding Northern Ireland to be outside the customs territory of the UK is some indication of the insurance policies being built into UK legislation as well as in the Withdrawal Agreement. Is it possible to have one ‘insurance’ policy in direct contravention of another? Amid all this noise, it is worth remembering, too, that the Leave-supporting DUP does not speak on behalf of the whole of Northern Ireland which in the referendum returned a 56% majority in favour of the UK remaining in the EU. Recent Public opinion polls indicate that there is cross-community agreement that both a hard east/west and a hard north/south border should equally be avoided, and that the type of Brexit most agreeable to both Leave and Remain, unionist and nationalist voters in Northern Ireland is the UK remaining in the EU’s Single Market and Customs Union. And from the EU side, indications are that the EU’s response will be cautiously warm – they are aware of May’s vulnerable position – but nonetheless clear on what remains immovable or unworkable. Much of what is being proposed in the White Paper in relation to regulation, customs and trade will no doubt be challenged – the EU’s response to the Technical Note on the temporary customs arrangement is a hint of this – as idealistic and unworkable. This is to be expected in a process of negotiation. What is quite clear is that the White Paper (and the Framework on the Future Relationship it seeks to shape) could never obviate the need for a backstop. It remains to be seen, however, what that final backstop will look like. Seeing as it remains a vital pressure point – and one through the Withdrawal Agreement to have international legal standing – we can expect at the very least finessing of the language here. The phrase being used by those close to negotiations in Brussels is a ‘de-dramatization’ of the Protocol on Protocol on Northern Ireland and Ireland. The White Paper can be understood as the UK’s attempt to make the future UK-EU relationship seem so comprehensive, magical and mutually-beneficial that any backstop arrangements for Northern Ireland seems not only unnecessary but distasteful. Unfortunately for the UK – despite all the talk of good faith and friendship – the course of the Brexit process so far has been one in which trust and goodwill has been steadily eroded. Moreover, the EU27 (in support of the ‘unique circumstances’ on the island of Ireland) is insistent that there can be no withdrawal agreement – and hence no orderly withdrawal and transition period – without agreement on how the Joint Report commitments will be fulfilled post-Brexit. The Protocol and within it the backstop arrangement have to be agreed. Trying to negotiate a happy future relationship whilst working out the terms of withdrawal was always going to be a difficult task. We are well-used by now to the patterns of accusation and exasperation that have peppered these negotiations from both sides. They are not without their effects. 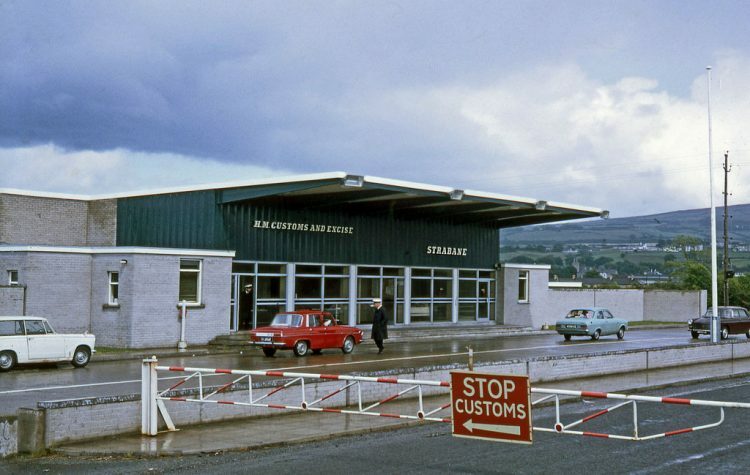 In the case of the Irish border – a topic historically and politically wracked with sensitivities and friction – the negative effects of any erosion of goodwill and trust are greatly amplified. Whilst May struggles to find trust and goodwill within her government and from across her party, it cannot come at the cost of the re-stated commitments to address the ‘unique circumstances’ on the island of Ireland. This paper complements and draws on a shorter piece entitled Where the UK’s Brexit plan (and Customs Bill) leave Northern Ireland, published in The Conversation. The featured image and secondary image have been used courtesy of a Creative Commons license.